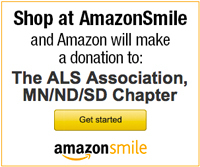 Your gift will help The ALS Association, MN/ND/SD Chapter support research to find a cure for ALS and provide much-needed services to patients and their families. Gifts to the MN/ND/SD Chapter are tax-deductible to the full extent of the Internal Revenue Code. The ALS Association is designated by the IRS as a not-for-profit 501 (c) (3) organization and can be found in the IRS Publication 78 as "Amyotrophic Lateral Sclerosis Association, " and on the IRS website by searching for "amyotrophic" in the Name search box. And don't hesitate to contact our Chapter Office at 612/888-672-0484 or jenniferhjelle@alsmn.org with any questions. Know Your Rights as a Donor. 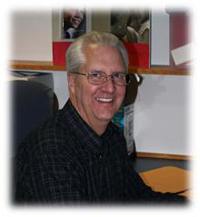 Volunteers are integral to the mission of The ALS Association. They support people living with ALS and their families directly by volunteering in one of our programs and indirectly by helping with speical events or in our office. Our yearly opportunities, our current needs, and information on how to get involuved can be found on the volunteer opportunities page. If you have any questions about volunteering, the volunteer positions available, or the application process, please contact Laura Winterstein, volunteer coordinator, at 888-672-0484 or volunteercoordinator@alsmn.org. Raise awareness by wearing a Fighting Lou Gehrig's Disease Wristband! Purchase a Fighting Lou Gehrig's Disease Wristband! AmazonSmile is a simple and automatic way for you to support your favorite charitable organization every time you shop, at no cost to you. When you shop at smile.amazon.com, you’ll find the exact same low prices, vast selection and convenient shopping experience as Amazon.com, with the added bonus that Amazon will donate a portion of the purchase price to your favorite charitable organization. Read more about how it works here.